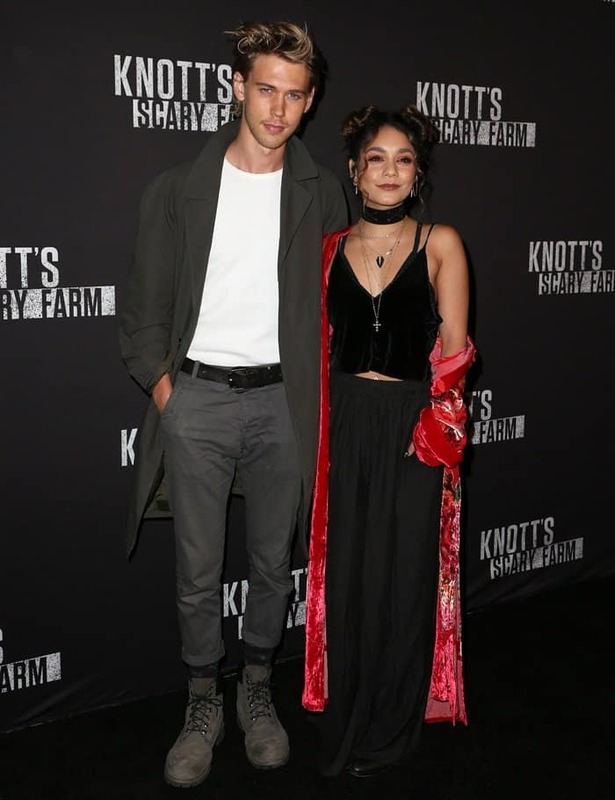 Vanessa Hudgens looked like a super chic ’90s vampire at Knott’s Scary Farm Party, where she walked the black carpet with boyfriend Austin Butler. 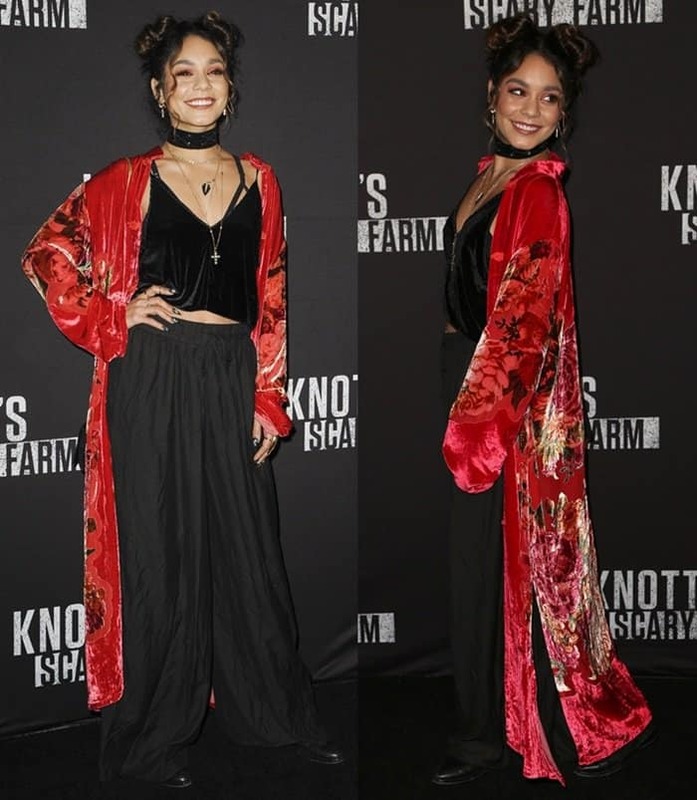 The actress let out her dark side with her themed ensemble as she donned a velvet crop top, palazzo pants and a long red kimono. 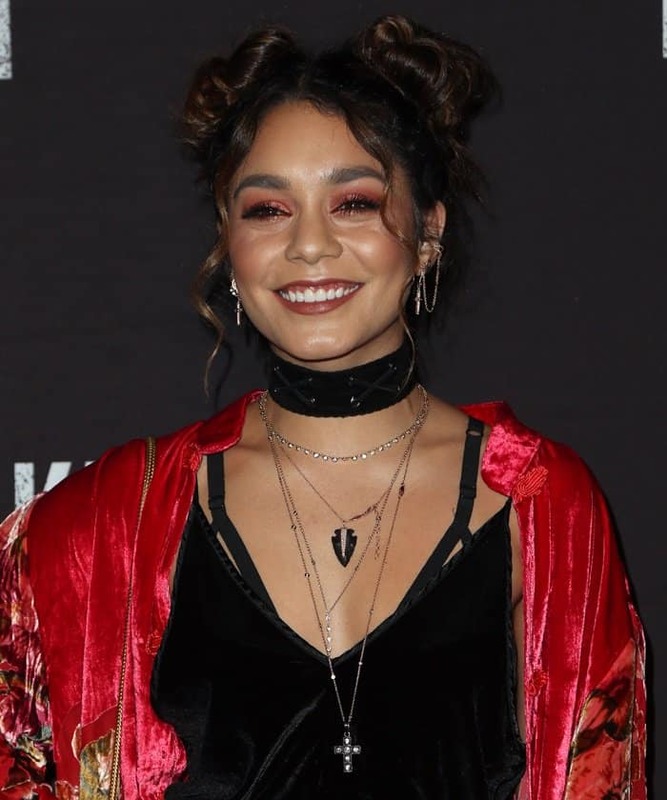 Vanessa rocked double hair buns on her head and had fun stacking up several jewelry pieces. 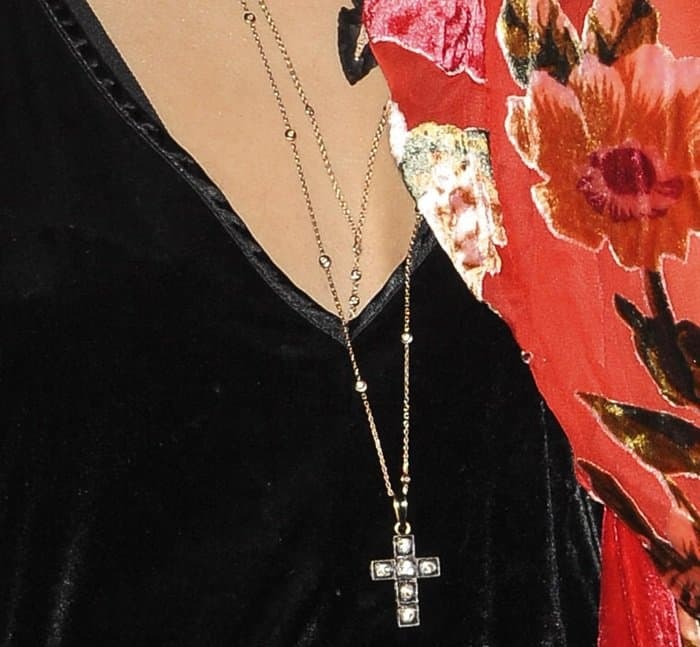 We love the combination of her edgy chokers and cross necklaces, which complemented her ’90s-inspired buns very well. 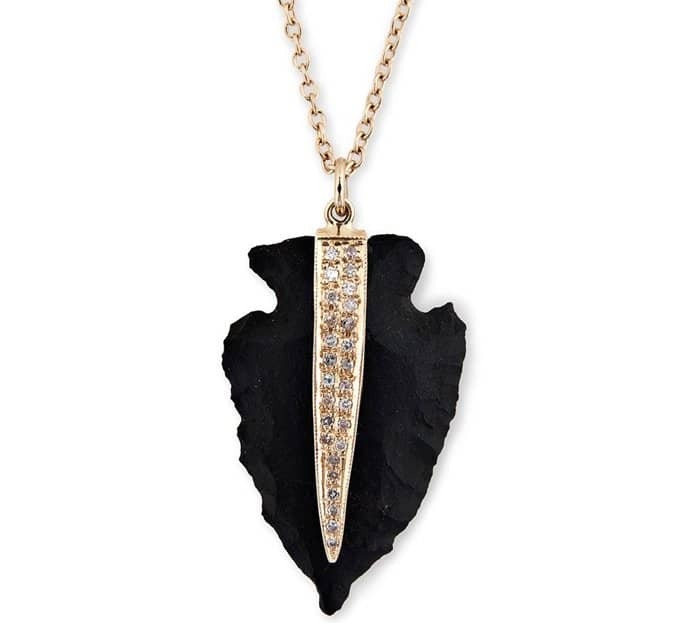 Vanessa’s necklaces come from one of her favorite brands, Jacquie Aiche. 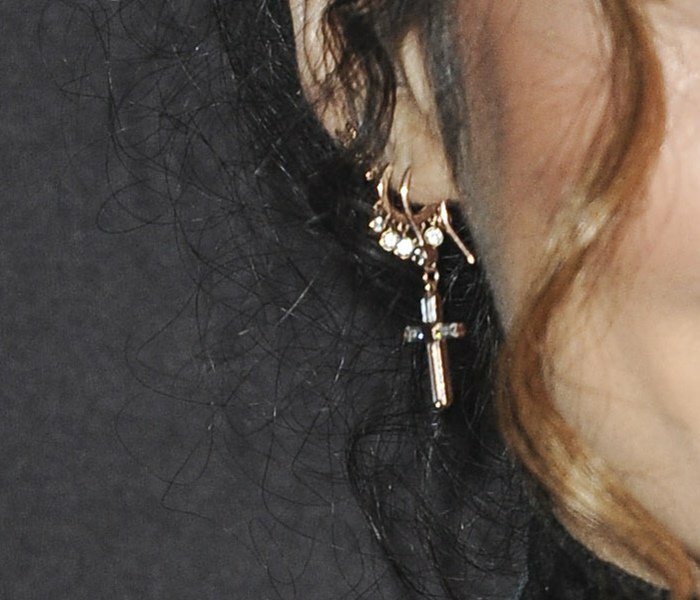 The pieces below are two of her favorites from the popular jewelry line. 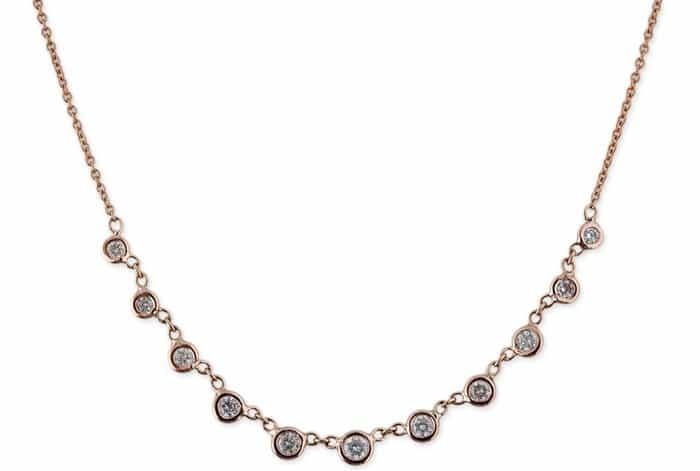 These gorgeous diamond-embellished necklaces have been spotted on Vanessa a couple of times already. We can’t blame her, these sparklers are definitely stunning!